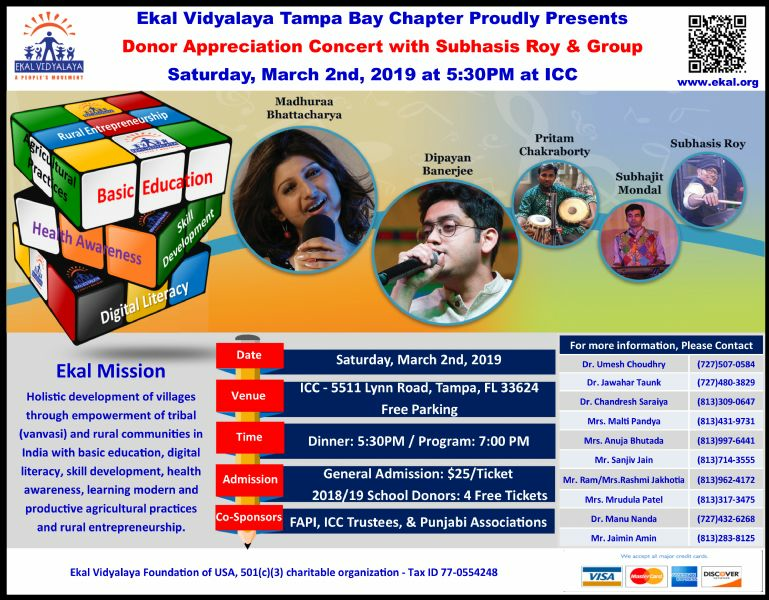 Please note Ekal Vidyalaya Donor Appreciation Concert occurred in past. Dinner is included in the admission & Parking is free. Ekal school donor gets 4 complementary tickets. Please see check additional details on the event flyer.